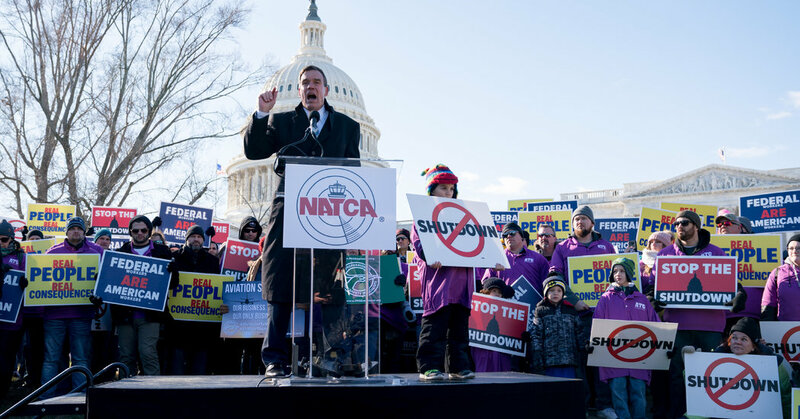 The unions that represent the nation’s air traffic controllers, pilots and flight attendants issued a dire warning on Wednesday, calling the government shutdown an “unprecedented” and “unconscionable” safety threat that is growing by the day and must end. In a joint statement, the heads of the unions, which represent more than 130,000 aviation professionals, said that on Day 33 of the shutdown, major airports were already seeing security checkpoints close, and more closings could follow; safety inspectors were not back on the job at pre-shutdown levels; and analysts’ ability to process safety reporting data and take critical corrective action had been weakened. The admonition came as the partial shutdown continued to put extraordinary pressure on the nation’s air-travel system. Already, as many as one of every 10 transportation security officers is not showing up for work and reserve workers are being flown in to bolster depleted ranks at some airports — a point the union presidents raised in their statement. In the meantime, workers who are being ordered to report for duty have no idea when they will be paid for their labor. Airlines are losing more than $100 million a month in revenue; and travelers are wondering how long it will take to get through airports — and whether it is still safe to fly. “To avoid disruption to our aviation system, we urge Congress and the White House to take all necessary steps to end this shutdown immediately,” they said. Next PostNext Spinal Fractures Can Be Terribly Painful. A Common Treatment Isn’t Helping.